KoopaTV: Watch Kamek Stream Yooka-Laylee; January 2018! By LUDWIG VON KOOPA - Maybe this'll get Yooka-Laylee to win a Game of THAT Year award, or at least get in the nominations? We've been hearing the cases of hundreds of games released in 2017 for our Game of THAT Year awards. Nominations are going to be published tomorrow, but there are still a few games left to hear the case from. Yooka-Laylee is one of them — having been released on the Xbox One earlier in the year and on the Switch less than a month ago. Kamek owns the former and Rawk owns the latter, and contrary to his testimony, has actually been playing it and has some unique thoughts on it. In a move that is not a breach of gaming journalism ethics but is a breach of the laws of sentience, Yooka-Laylee is treating our staff—and anyone else who wants to watch—to a Twitch stream. You know, with copies of the game that the staff has paid for. This is in hopes of being eternally recognised as the Game of THAT Year. 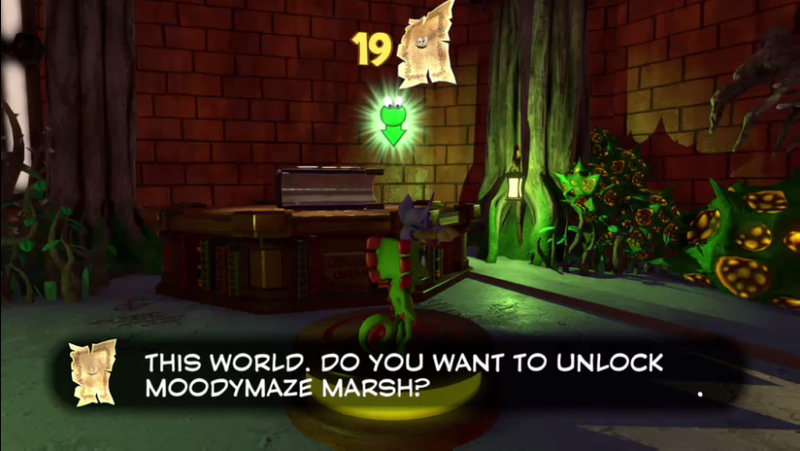 My, Yooka-Laylee is so confident in its quality that the game isn't even trying to bribe us. Kamek will be in Moodymaze Marsh. It should start at around 11 PM EST. 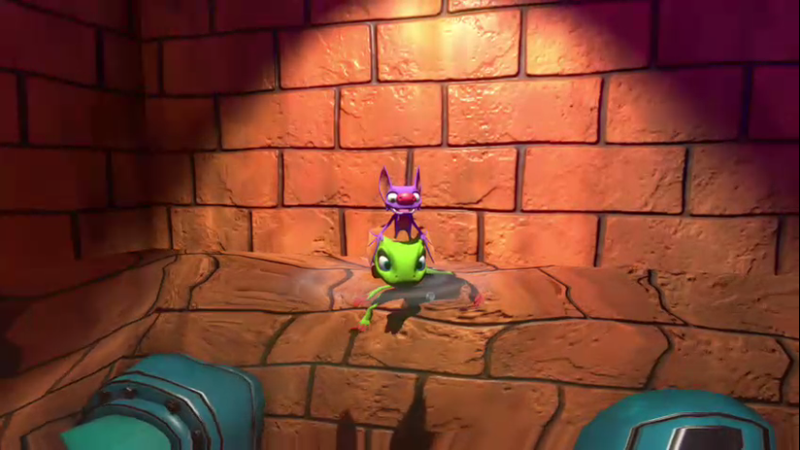 Yooka's head to body looks REALLY weird in water. If you're reading this footer, then the streaming must have ended and thus this whole article would be pointless. (Alternatively, Kamek succeeded in getting the stream as a video-on-demand.) Oh well, that probably means that the hyperlink to the KoopaTV's Game of THAT Year 2017 nominations article will be below this footer. Check that out to see how well Yooka-Laylee did for nominations, and then check out the bottom of THAT article on the night of January 8, 2018 for a hyperlink to the actual awards. Here are KoopaTV's Game of THAT Year 2017 nominations. Did Yooka-Laylee get represented? Moodymaze Marsh was described in this Yooka-Laylee review as the best area in a 3D platformer, ever. Wendy takes streaming duties next with A Hat In Time, and she has a very different style. I enjoyed my time last night watching the stream. It was nearly midnight here when it ended, but it was well worth staying up for. Is there a chance that Soviet Missile Run can be streamed next? Streams are meant for longer games. One could do Soviet Missile Run in a one-part Let's Play episode, which is something that would get a person a lot of points in the KoopaTV Loyalty Rewards Program.